Lots of marketers think social players are the way to go because they reach millions of viewers without impacting the marketing budget, and to a degree they’re right – YouTube and Vimeo are great for building brand awareness. 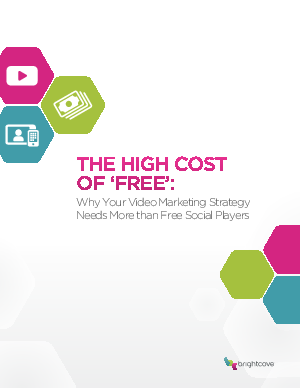 But as the adage goes, you get what you pay for – and there are trade-offs to using free players exclusively, particularly if videos have become a cornerstone of your brand’s marketing strategy. That’s why it’s important to have a blended strategy when it comes to online video – one in which you take advantage of social players, but also use an OVP that delivers benefits that social players don’t offer and that overcomes their disadvantages. To help you understand why a blended strategy is needed, here are the pros and cons of social players and the benefits of OVPs, followed by an overview of the type of content that works best for each in a blended strategy.